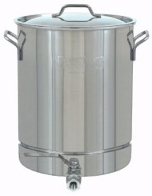 Stainless steel boil kettle with two NPT ports. 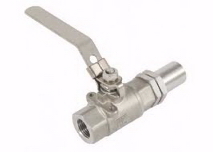 A chrome spigot is included for the lower port and an optional thermometer can be installed in the upper port. 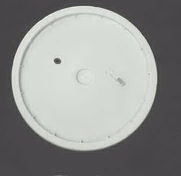 A plug, spigot and lid are included. 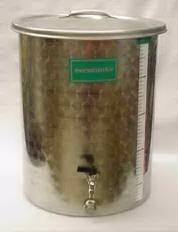 Great for soda and beer. For caps #690561. Threaded Connector, Includes Bushing for Filter Screen, Bulkhead fittings for a water tight seal. Clear Hose 5/16 in. i.d. Good for bottling, racking, ect. Sold per foot. Clear hose 3/8 in. i.d. 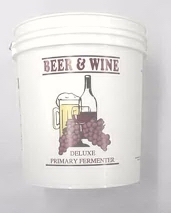 Multiple uses around beer & wine making. Sold by the foot.